It’s been a bit rainy the past few days so what’s the a fun thing to do when you’re stuck inside? 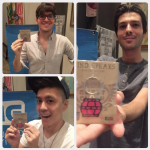 Origami! I’ve been on an origami craze! I have the honor to work for HMNS in Houston Texas and when I’m not writing copy I get to help out with the Membership events at the Museum. 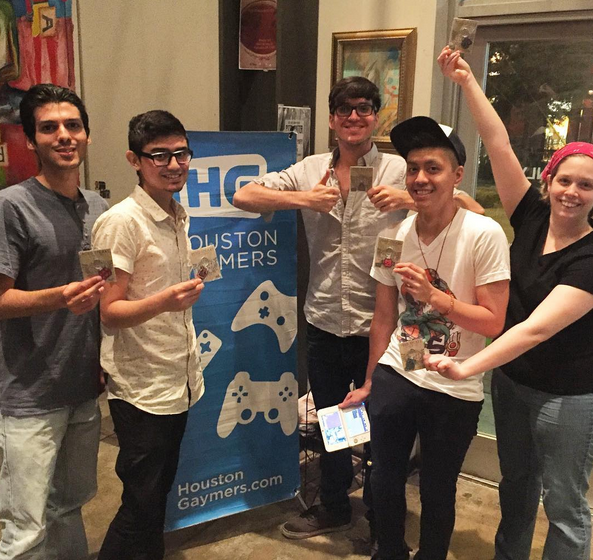 That includes helping plan out events for the young professional group, HMNS Catalysts. I mostly help out with the crafts, and I’ve already included origami at two events! Back in January we had our first Catalysts event of 2017 and our theme was dinosaurs, featuring our great Hall of Paleontology. 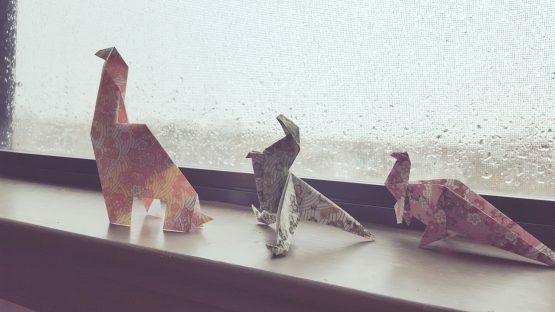 Not only did I teach myself how to make three different types of dinosaur origami, I was also responsible for folding tons of larger paper dinos that were used as the backdrop in our photobooth. Let’s just say I had a lot of fun folding these dinos, and I had the chance to learn something new. I really enjoy teaching others how to craft, so I had no problem being in charge of this table. And the Members appeared to have a great time folding these cute little dinosaurs. I tried to find dinosaurs that varied on level, starting with a bit easy and working it’s way to a bit more ambitious. 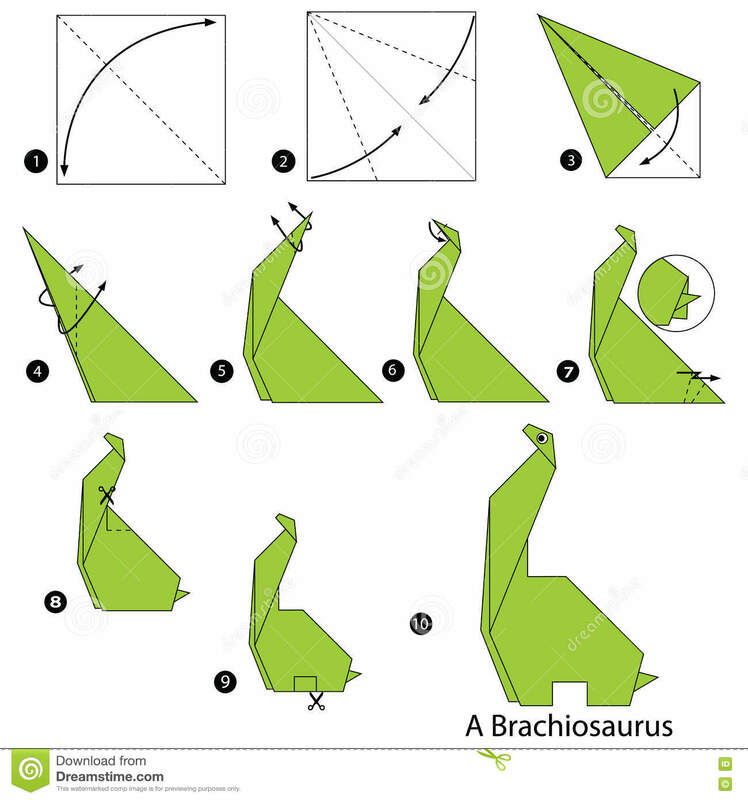 First up is Brachiosaurus: This one is pretty easy, it does require some scissors to cute out sections of the dino, but nothing too complicated. I suggested this one for the members that were a bit intimidated by the thought of origami. Next up is what looks like a Raptor to me: This was actually the first dinosaur I learned how to fold, but I figured this one might have been too complicated for some. But I like how this one looks, mine just always come out looking as though they are doing the splits. Lastly, Maiasaura? I didn’t know this dinosaur name until just now so don’t worry if it’s not familiar to you. This has to be my favorite one out of the three. I learned this one last minute and I’m so glad I did. It’s a bit more difficult than the raptor, but I’m glad I decided to look for one more dinosaur. 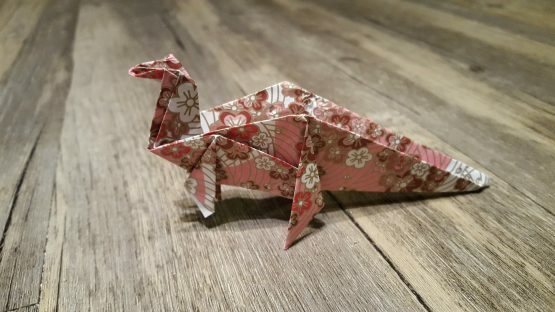 I had a lot of fun learning how to make these little paper dinosaurs. I found each of the tutorials online, it might take you a few tries but it’s pretty fun once you get the hang of it. I’ve purchased some new knitting needles that I’ve only been able to slightly use. They are round needles in the US size 50 and are surprisingly easy to use. The reason for the larger needles is because I wanted to knit a nice comfy blanket. You need extra chunky yarn….and a lot of it. I’ actually not too certain how many skeins I need in order to make a decent size blanket. My original plan was to arm knit this blanket, there are quite a lot of tutorials going around and I just had to try it out. I think I need extra extra chunky yarn in order for it to work the way I want it to. Either that or buy regular chunky yarn in even more skeins. I just wanted to save myself some hassle and buy X amount of skeins once instead of multiples of smaller skeins. It made sense in my head. The yarn I bought was from Hobby Lobby, and it’s from the brand Yarn Bee. 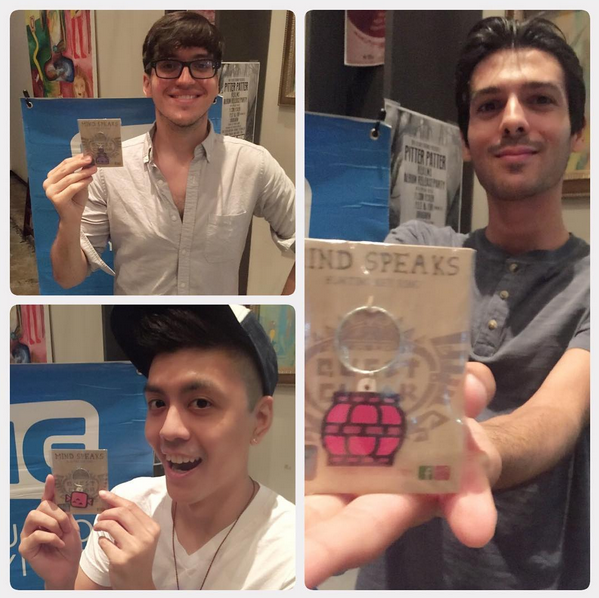 I couldn’t find it on their site but I’ll keep browsing the net so that I can link it later. I also purchased the needles from Hobby Lobby and the reason I bought circle needles is because the loop was long enough to knit a blanket. All of the straight needles were much too short, plus round needles allow a more comfy knitting experience. More movable? The arm knitting, although easy to learn, just wasn’t progressing the way I had hoped. The stitches just weren’t as tight as I wanted them to be so I switched to the needles and since I needed the needles to be pretty long I just went with the circle needles. 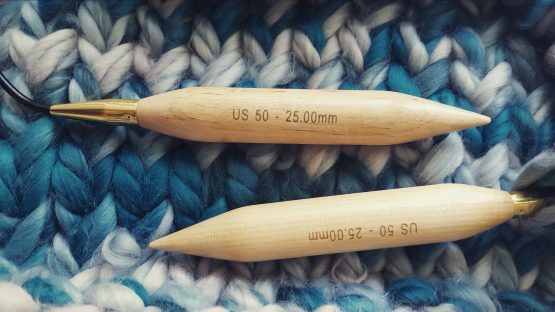 I prefer wooden needles because of how light weight they are…believe me you’ll noticed the difference after switching. I wanted to test out the needles with the chunky yarn I had purchased and that’s when I noticed it will take many more skeins to finish the blanket but I’m looking forward to testing out more skeins and finding the right yarn in order to knit the blanket I have in mind. Until then, I will gladly try out tons of yarn. More updates to follow. Any projects you’re currently working on, or do you have any tips when dealing with yarn and round needles? We are in love with the Monster Hunter franchise by Capcom. Ever since the series came to Nintendo 3DS we’ve been playing non-stop with a group of friends. 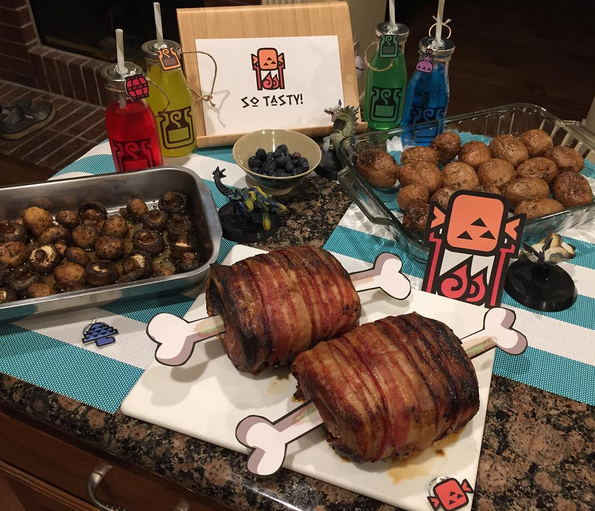 Our friends love themed parties as much as we do, so to celebrate the newest Monster Hunter game, we decided to make a small impromptu dinner! 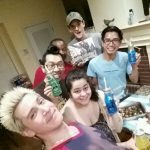 Our amazing friend Paul made pork loin wrapped in bacon, while the hubby and I were in charge of the drinks! 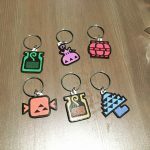 If you’re familiar with the game, there are a few potions that you can make in the game. Green potion is for mega health, yellow is mega dash juice for stamina, red is mega demondrug for increase attack and blue is mega nutrients to increase your health gauge! 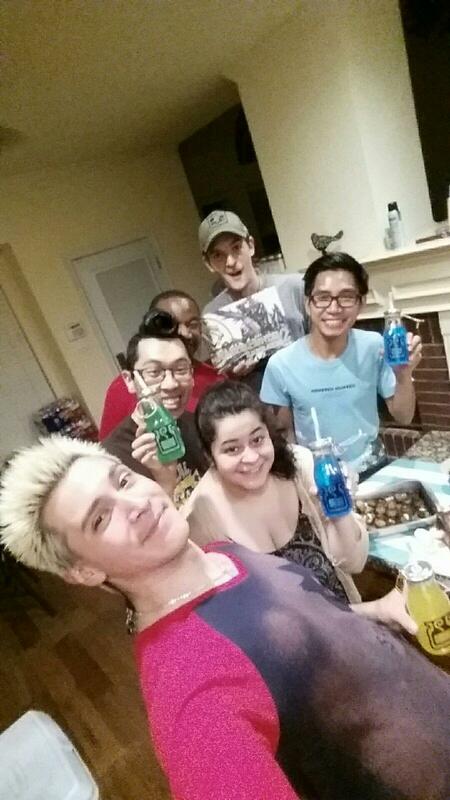 The drinks were super easy to make – different Fanta drinks poured into milk bottles from the Target dollar spot. I printed out the drink icon symbols onto clear labels and adhered them to the bottles. 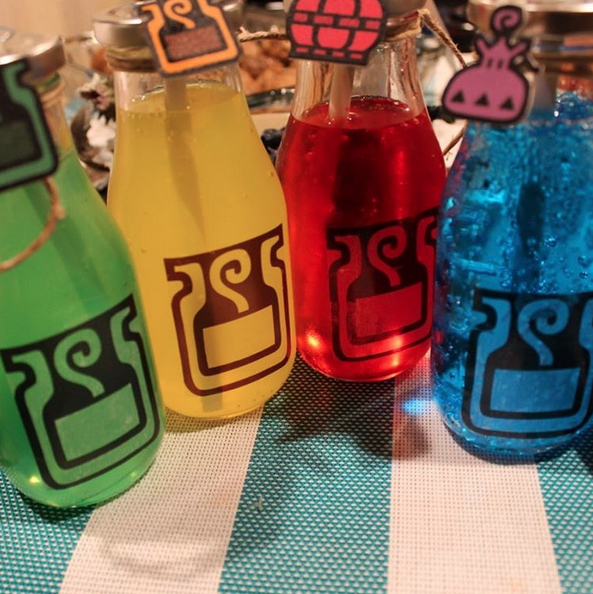 Remember the Valentine bottles I made for my dude? 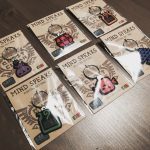 You can use the same method and Mod Podge over the labels! 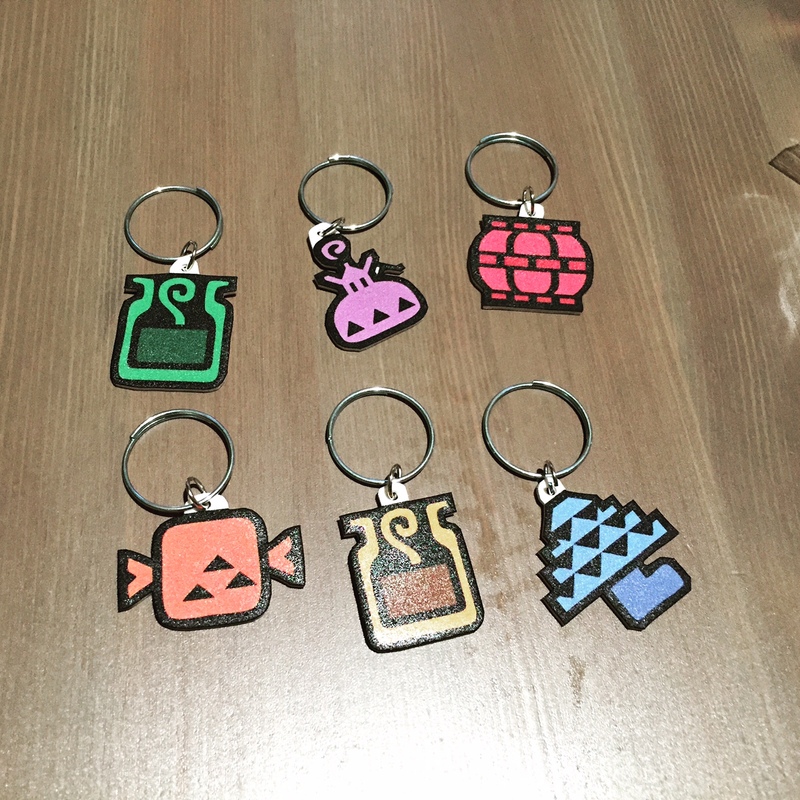 I also made some matching keychains for each of our friends. 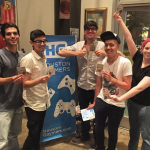 I gave some away to a Monster Hunter event at Houston Gaymers’ Handhelds!